Real hope is something entirely different. It’s a lifeline. And few know that better than Erin Casey (’13). For much of her life, Erin struggled with mental illness. In her 23 years, she has experienced a lot — and it hasn’t all been fun. At times it’s been downright painful. But Erin has also learned to hope — and with that, she is determined to share what she’s learned by offering a platform and a means for others to find that same hope. Erin Elizabeth Casey always wanted to be a dancer. As a four-year-old taking dance lessons, her dream seemed reachable and possible. As a budding teen, however, she began to realize that most professional dancers have a specific body type — and Erin did not fit the image. But Erin, who describes herself as determined, driven and perfectionistic, tried to mold her body into the form she wanted. What began as an obsession to dance morphed into a serious eating disorder. During high school, she sought counseling, but it didn’t help. When she got to JMU — the college she always wanted to attend — everything imploded. In addition to her eating disorder, Erin discovered she suffered from Type II Bipolar Disorder, a mental condition that runs in her family. Whereas most people have highs and lows, the peaks and valleys for someone with bipolar disorder are extreme, ranging from deep depressions to energetic and unsustainable manias. Fortunately for Erin, Type II is less pronounced and more manageable. Eventually Erin sought help in JMU’s Counseling and Student Development Center. 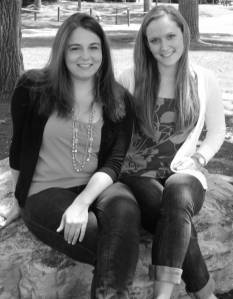 Colleen Tennyson, M.D., and Shirley Cobb, L.P.C, suggested she try a residential program for eating disorders. Taking their advice, Erin took a semester off — and this time, everything worked. She learned that she had been using her eating disorder to control her bipolar disorder. It was a new beginning for Erin who took her own difficult experiences and turned them into something positive. In the fall of her senior year, she joined JMU’s Active Minds, a national organization to encourage discussion and education about mental illness. Through the student-run organization, she found out “how many people have their own stories,” she says. With Active Minds, then-president Erin helped organize and run “Dancing with the Stars for Suicide Prevention.” Seven teams, each dancing for a specific mental health initiative — body image and eating, what to do in a crisis, and anxiety and depression — raised money and awareness on campus. Today, as a healthy graduate, Erin is not content to simply enjoy life. Instead, she’s determined to use her hard-earned lessons to change lives. Erin’s hope is that she can help others discover the strength to surmount daunting challenges like eating disorders, suicide, depression, loneliness, bipolar disorder — all common mental health challenges. 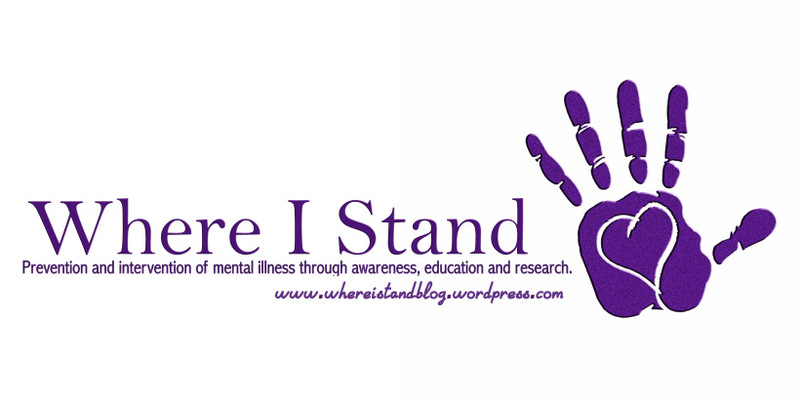 One way she shares hope is through her blog called “Where I Stand.” It’s a tough and sometimes brutally honest (and sometimes beautifully poetic) look at mental illness and the myriad challenges it presents. The blog is a wellspring of information and shared experiences. Erin is especially interested in helping school systems develop mental health plans for elementary and high school students, a health concern she believes is often overlooked. To that end, she has spoken to schools in her hometown of Roanoke, and she and Natalie are developing school curricula. Erin and Natalie are not alone in their concern for the mental health of children. The U.S. Centers for Disease Control and Prevention listed childhood mental illness as one of the top concerns they’re addressing in 2013. And as if Erin isn’t doing enough already, she’s the new activities counselor for the Shenandoah House, a residential treatment facility for teenage boys run by Richmond-based Intercept Youth Services. Erin’s story will also be featured in an upcoming book by motivational speaker Melissa Ann Hopely to be published later this year. We applaud Erin and Natalie and will follow them as they continue to share hope, change lives and continue to move forward with Where I Stand. Read more about Erin and “Dancing with the Stars” in a Breeze story by Lucy Plant (’15) and Mary Kate White(’15). You can also learn more about Active Minds on Facebook. We are so honored that Where I Stand was featured on James Madison University’s blog: Be the Change! Good for them! Loved this story.